Home > Latest News > Soil > Soil. Earth. Dirt. No matter what we call it, it’s the material that constitutes the outermost solid layer of the planet. We raise food in it. We mine mineral resources from beneath it. Soil is the solid material on the Earth’s surface that results from the interaction of weather and biological activities with the underlying geologic formation. Soil is produced from broken down rocks, organic matter such as decayed animal and plant life, water and air. Although soils look like they are lifeless and unchanging, soils are actually dynamic mixtures, teeming with life. One teaspoon of soil in a temperate climate can contain billions of organisms ranging from simple bacteria and fungi to more advanced forms. Earthworms and insects are examples. Bedrock is continually fractured, dissolved and changed into soil; but the process occurs slowly so we usually never notice it. Soil is composed primarily of minerals produced from parent material that is weathered or broken into small pieces. Beyond occasional stones, gravel, and other rock debris, most of the mineral particles are called sand, silt, or clay. These mineral particles give soil texture. Sand particles range in diameter from 2mm to 0.05mm are easily seen with the unaided eye and feel gritty. (One millimeter (mm) is about the thickness of a dime.) Silt particles are between 0.05 mm and 0.002 mm and feel like flour. Clay particles are smaller than 0.002mm and cannot be seen with the unaided eye. Clay particles are the most reactive mineral ingredient in the soil. Wet clay usually feels sticky. Water and air occupy the pore spaces — the area between the mineral particles. In these small spaces, water and air are available for use by plants. These small pore spaces are essential to the life of soil organisms, to soil productivity, and to plant growth. 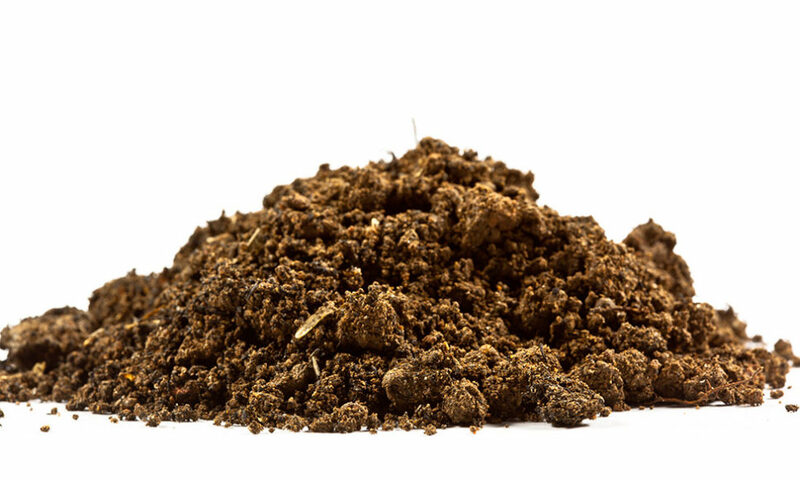 The final ingredient of a soil is organic matter. It is comprised of dead plant and animal material (detritus) and the billions of living organisms that inhabit the soil.